Persistent Gut Problems: Are you Sure it Isn’t a Parasite? 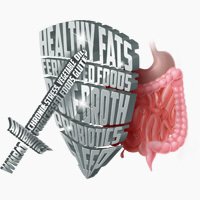 Have you tried every possible combination of foods and your gut problems still won’t go away? Have you considered that it might actually be a gastrointestinal parasite, and not a food intolerance at all? What Are GI Parasites and Where do they Come From? Many people turn to Paleo because they have health problems that they couldn’t solve through other approaches. So the Paleo population probably has a disproportionately high number of people with puzzling chronic diseases, inexplicable symptoms, and strange health problems of various kinds – exactly the type of symptoms associated with parasite infection. Some parasites, like giardia lamblia (“beaver fever”) are spread through water and dirt, so they’re much more common among outdoorsy types who like to hike, camp, and get their hands dirty – all time-honored Paleo pursuits. Parasites can be transmitted via contaminated dirt and water (camping, hiking, canoeing or fishing trips…), pets that roam around outside, traveling, blood (e.g. through mosquito or insect bites), or all kinds of other sources. Even if you’re fortunate enough to have clean water and modern sanitation, you might still be at risk! What Do GI Parasite Symptoms Look Like? Sometimes, symptoms look a lot like Irritable Bowel Syndrome (IBS), incluing bloating, gas, diarrhea, constipation, and stomach cramps. In this study, for example, infection with giardia was associated with a dramatically higher rate of IBS symptoms even three years later. If you’ve been dutifully treating IBS symptoms with diet to no avail, you might actually have a parasite to blame. On the other hand, though, symptoms can look like anything else, too, and they aren’t restricted to the gut. Unfortunately, this makes parasites one of the biggest targets of online scam-peddlers, because the list of potential symptoms is so incredibly long and vague that just about everyone can find something to identify with. Signs of a parasite infection range from obviously alarming, ER-worthy problems (bloody diarrhea, projectile vomiting) to low-key issues that you might be tempted to just push through (fatigue, trouble concentrating). It’s important to remember that having one (or even more) symptoms of a parasite infection doesn’t necessarily mean anything: when the symptoms are as vague as “fatigue” and “loss of appetite,” you might just be having a bad day! Diarrhea, constipation, gas, bloating, or other gastrointestinal problems. Assorted other chronic health problems (e.g. fatigue, joint pain, memory or concentration problems) that seem to have no other cause. Dangerous weight loss despite eating plenty of food. There’s even some evidence that apparently unrelated diseases like fibromyalgia or chronic fatigue syndrome might have a link to parasite infections. This study found that people with inflammatory bowel diseases (especially ulcerative colitis and Crohn’s disease) were more likely to be infected with a certain type of parasite (blastocystis, a protozoan infection) than healthy controls. Symptoms don’t always show up right away. Gastrointestinal parasites are very tricky to deal with because they can be completely asymptomatic for years before flaring up. Sometimes, they can also cause intermittent symptoms that disappear and come back again and again. This paper, for example, describes how infection with the common parasite giardia often causes long-term symptoms that never seem to go away for good. So, if you suspect or know you have a GI parasite, what can you actually do about it? First of all, go see a doctor. A doctor can run actual stool tests to determine what’s actually going on. Every single symptom of parasite infection could plausibly be caused by something completely different, so there’s no way to diagnose yourself for sure. If you really do have a parasite, you’ll probably get some kind of antibiotics and/or other medication to get rid of it. On the diet front, be very wary of scammy “parasite cleanses” or “parasite detoxes:” most of them are nonsense. If you really do have a parasite, the “master cleanse” (drinking nothing but lemon juice and cayenne pepper for several days) is not the answer! And don’t be fooled by cleanses that just involve eating a bunch of weird-colored clay and a powerful laxative. The contents of your toilet bowl will be very impressive, but this doesn’t actually represent any improvement on the parasite front. Foods: raw garlic, pumpkin seeds, pomegranates, beets, and carrots. Avoid sugar. Supplements: probiotics, digestive enzymes, and zinc. Probiotics and probiotic foods are probably most important especially if you’re taking antibiotics – antibiotics can really mess with your gut, and taking the probiotics often helps avoid side effects. 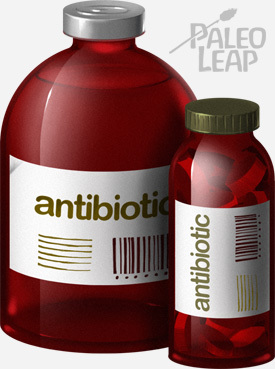 Sometimes, antibiotics are necessary to treat an even worse problem, but you don’t want to treat a parasite only to get slammed with a nasty case of drug-resistant c. diff.! “You have a parasite” is not news anyone wants to hear, but if it’s true, wouldn’t you rather know so you can get rid of it instead of continuing to suffer while you try one diet after another without seeing any improvement? If you have persistent GI or other issues, and you haven’t been tested for parasite infection, it might be worth seeing a doctor about, especially if you’re really outdoorsy or like to travel a lot. A doctor can help find the right medicine, and if that’s an antibiotic, there are all kinds of dietary ways to make it easier on your gut so you can finally get your health back.